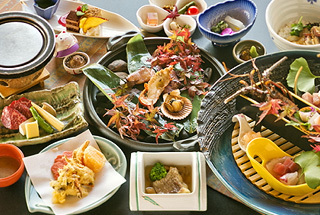 including Ise lobster, as well as Chita beef, a specialty of Chita Peninsula. Freshly caught local fish and shellfish from Chita Peninsula. Each and every seasonal dish we make is created with heart. We offer cuisine that will delight all five senses. of our cuisine distinct, but so is the appearance. 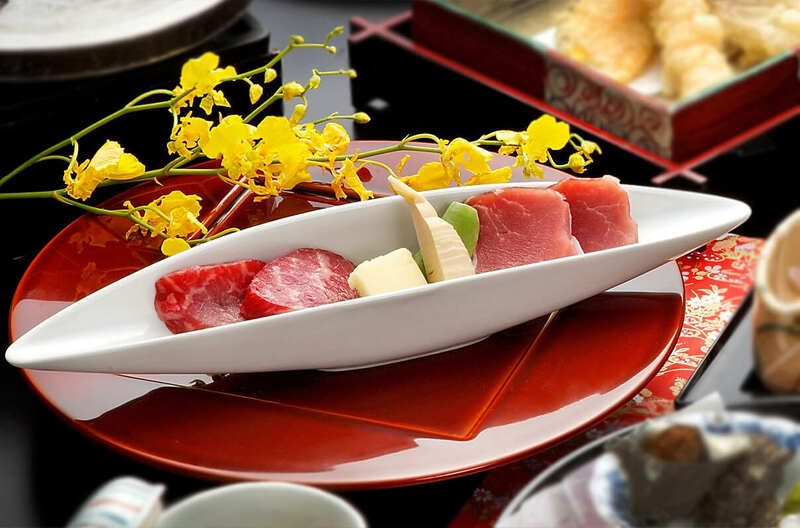 Japanese cuisine involves not only the food, but is completed by the tableware and its arrangement. We select tableware that suits the season and the food and set them carefully, preparing everything lovingly so our guests can enjoy our cuisine through sight and smell as well. We work hard every day to bring our guests food that will make them smile. 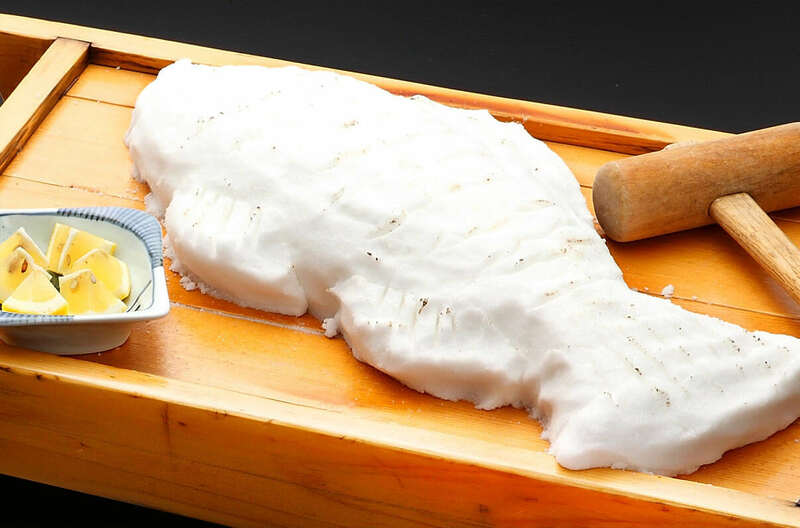 Sea bream is covered in coarse salt and oven-baked whole in our signature dish. It is opened with a mallet, as in kagami-biraki, for good luck. 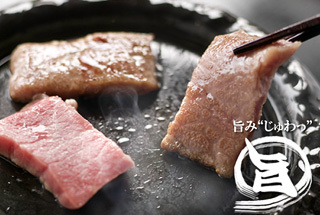 Chita Beef is a brand of wagyu beef raised on the Chita Peninsula in Aichi Prefecture. Enjoy the exquisite flavor of red meat with moderate marbling. 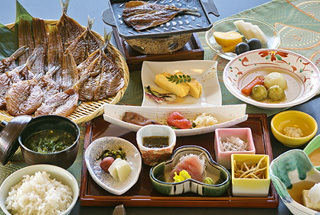 Breakfast is a Japanese set meal that follows the philosophy of eating locally. Your morning vitality comes from a tasty breakfast. Feel fine from the body and soul. *We may not be able to accommodate your request. While it doesn’t come with a view, private dining is available as well. 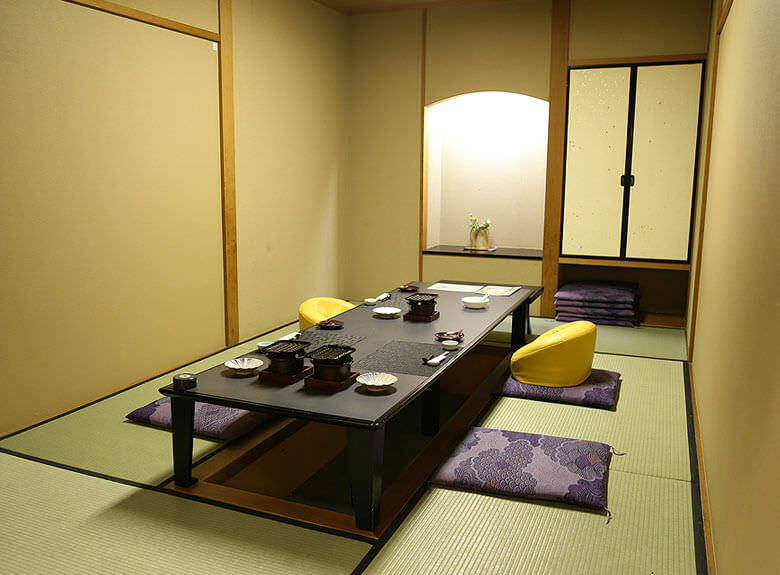 Partitions dividing each sitting area and installed with lowered kotatsu and chair tables will make you feel as though you are at a luxury restaurant. Genjikoh is a hot spring inn built on the theme of scent in Minami-Chita Hot Spring Village on the Chita Peninsula. 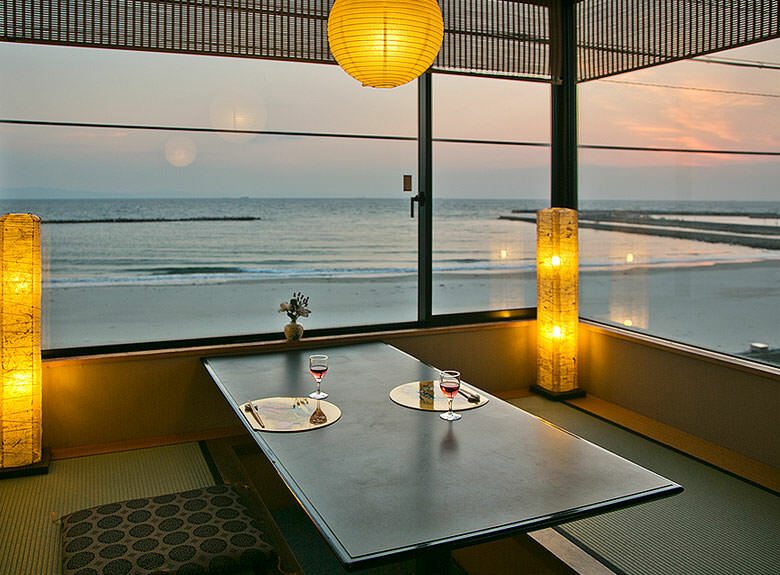 Enjoy an open-air bath of natural hot spring water overlooking the sea of Ise Bay, as well as cuisine made from local ingredients, including Chita Beef. Not only are we available for stays, but we are available for day trips to the hot spring or lunch as well. In order to be the kind of inn our guests will continue to patronize in the future, we at Kaiei Ryokans aim to fill our guests with a feeling of awe, using our concept of a “Special Occasion Inn®”. Copyright GENJIKOH. All Rights Reserved.